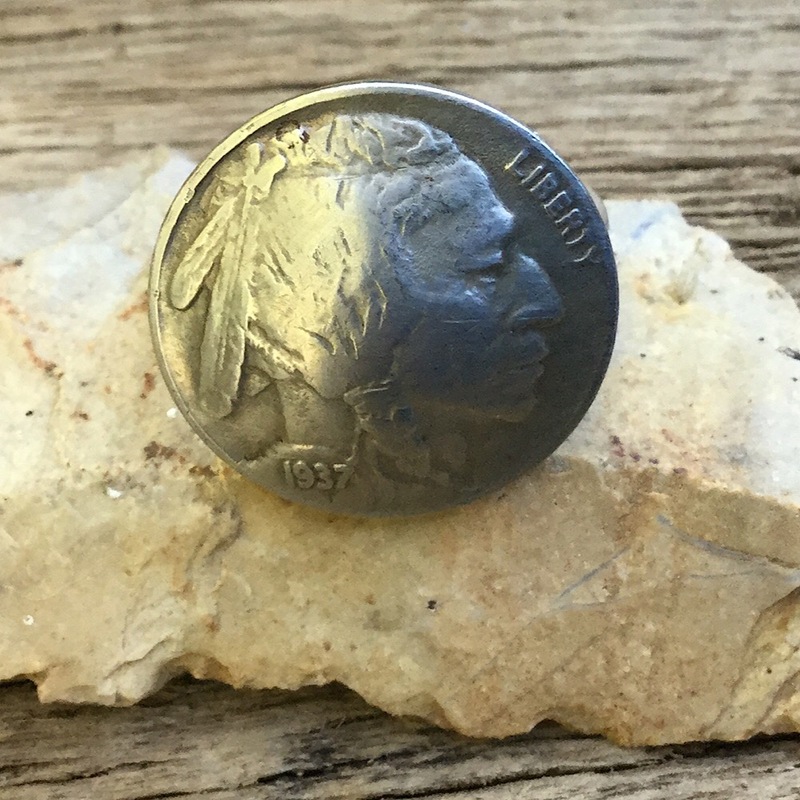 Buffalo Nickel Ring Indian side out Coins Buffalo Nickel Indian. Indian Ring. Indian Jewelry. Coin Ring with Indian. Silver Coin Ring. Home > Rings > Buffalo Nickel Ring. Valentine's Day Ring. Handmade Nickel Ring, One of a Kind Coin Ring. US Coin Ring with Indian. Buffalo Nickel ring with the Indian side up with a silver band.